Within 12 hours my brother and I made a punctual effort to prepare the kitchen walls for cabinets. 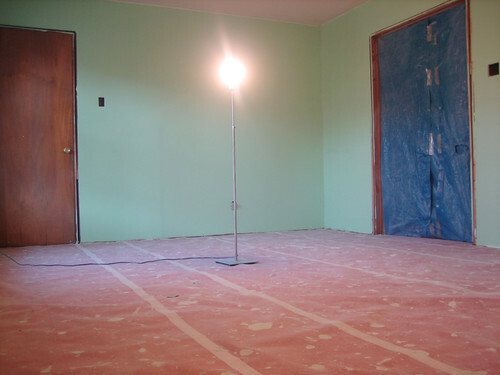 We sanded the walls, cleared the room and vacuumed the dust in record time. 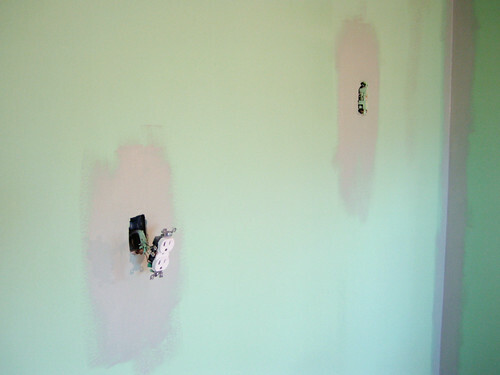 Before heading to bed the walls were textured and paint ready. I’m rising early after a four hour nap to begin painting. The color you see now is gray when the paint dries it will be Kwal Drew CL2992W a greenish gray with a blue hue.